Every marketer knows that to command presence and relevance in the online sphere, a brand’s content should be the focal point of the marketing strategy. In the age where psychology relevantly contributes to consumer’s decision-making process, it is only ideal that a sales funnel should be constructed in relation to the buyer’s journey while helping them make a smart buying decision. A sales funnel is a series of carefully strategised steps leading to a goal which is most often about converting your traffic into sales, subscriptions, sign-ins, opt-ins or the like. In short, it is a path your prospects will go through towards a destination. This stage is always at the top of the funnel where the buyer is made aware that they have a problem or challenge. This stage is where you first attract visitors to your website or page in relation to the problem or challenge and that you have a possible solution to that problem. This stage, at the middle of your funnel, is where your prospects now have acknowledged that they do have a problem and that they have learned all they should know about it and how to solve that problem. In this stage, the goal is to convert your prospects into leads with the mission to introduce them to your product/service as an effective solution to that problem. The last stage of the funnel, the Decision Stage, is where your prospect decides whether to invest in your solution or not. The fact that they have reached this stage, they are now aware that you offer a solution to their problem and that they have possible alternatives. While it’s true that aside from your solution, there are alternatives, the one thing that can make them decide on pushing through with you is TRUST. Trust is what you have to foster into this last stage in order for them to complete the buyer’s journey in your funnel. Video content has been widespread with the popularity of YouTube and the introduction of Live Video across social media platforms. It is only a testament to how video proves to be a large influence in marketing. With that said, it’s no wonder that the internet is so densely saturated with video content. Let us not discount the fact that not all video content is geared towards marketing and solely has the goal to entertain. With all the videos and noise on the internet, it may prove a significant hurdle for your brand to stand out and capture the attention of your market unless you have your own strategy in place. 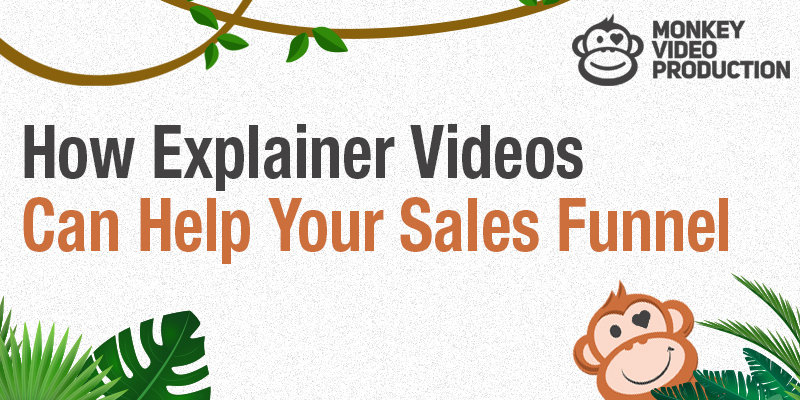 With that said, videos in your sales funnels have to be complementary to the stages in your sales funnel. The video content and the rest of your funnel should align. And because there are different stages in your funnel with different goals, your videos will also have different objectives in order to guide your prospect to move towards the next stage of your funnel. Because this stage is where you have to make your prospects aware that there is a problem and that you offer a possible solution, you have to make sure that your video content does just that. Avoid jumping on sales speak in this stage, and instead, provide content with useful information for your prospects. Because this stage is where your prospects are finally beginning to realise that they do have a problem and that you offer a possible solutions, it’s time to help them discover and explore what you can offer them in terms of your product or service. With the bottom of the funnel, the objective of your videos is to enforce trust and show your brand’s authority in the industry.